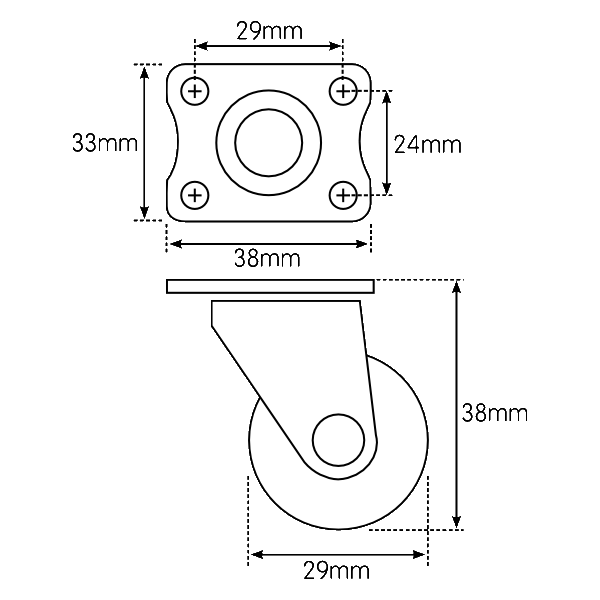 This Swivel Caster Wheel is strong enough to support small and medium sized robots. 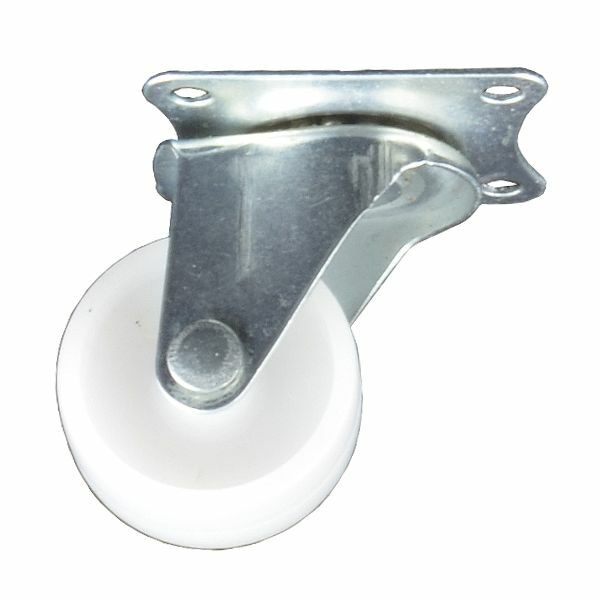 The nylon wheel is 29mm in diameter and the entire part is 38mm tall. The wheel is supported by a metal frame and swivels around about a dozen ball bearings.